Synopsis from Goodreads: When a fairytale fantasy night becomes a nightmare, Chessa Paxton must run for her life…but will the truth set her free? Chessa Paxton, an event planner in Lake Tahoe, celebrates a successful night at the Happily Ever After Ball, but her dream quickly becomes a nightmare when she wakes up beside the body of her dead husband. Nauseous and confused, feeling as if she’s been drugged, she can’t explain to the sheriff why her princess costume is bloodied. With her father already a convicted murderer, she feels invisible shackles ratcheting onto her wrists and ankles. She runs! But she can’t escape vivid flashes of memory: a massacre in a meadow; men and women in fairy tale costumes; Snow White’s dead body shielding her from bullets. Though Chessa is a former costumer and a master of disguise, she quickly learns that hiding while trying to prove herself innocent is the most difficult task imaginable. Especially when the sheriff wants to throw her in jail and the real killer wants to silence her forever. I love Daryl Wood Gerber’s cozy mysteries, and was both curious and excited to get my hands on this, her first novel in the suspense genre. I was not disappointed! At first glance, it appears to be a standard setup – woman found with her dead husband and accused of murder – but it quickly takes off in its own direction and never stops. 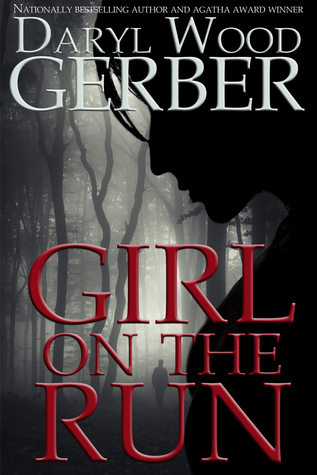 Once Chessa decides that she is going to have to find the truth on her own and takes off running, the suspense doesn’t stop. She doesn’t know what is going on or who she can trust, and seems to encounter more questions than answers in her search for the truth. I was completely sucked in and had a hard time putting the book down. Chessa is my favorite type of female heroine – strong and smart, but not perfect by any means. She’s just too stubborn to give up. I really enjoyed this new venture from a favorite author, and hope there will be more to come! Daryl Wood Gerber also writes the Cookbook Nook Mystery series and as Avery Aames, the Cheeseshop Mystery series. You can visit her at http://www.darylwoodgerber.com/ for info on all her books. NOTE: I received a free advanced copy from the author in exchange for my honest review. I’ll have to finish after reading your review.